No matter what country we look at be it Russia, Cuba, China, or North Korean, there is a formidable difference between the PEOPLE and the GOVERNMENT – for there is a distinction and by no means are they one and the same. It is not the Russian people suppressing Ukraine – this is all driven by governments and nothing else. Thomas Paine wrote Common Sense and that piece inspired the American Revolution. His words to this day still ring true: “Society in every state is a blessing, but government even in its best state is but a necessary evil; in its worst state an intolerable one.” The critical point that made Common Sense really important was it separated the PEOPLE as the sovereign of a nation from government. Government is NOT the nation regardless of what it proclaims. What we see in Ukraine is the uprising of PEOPLE against a corrupt government. The Russian mercenaries are sent in between governments – not even with the knowledge of the people. So by no means whatsoever, does the Russian people sanction mercenaries or suppression of Ukraine any more than the American people supported Obama’s desire to invade Syria at the behest of Saudi Arabia. Governments are all about maintaining power over the people. They by no means represent the people as they proclaim or people like Snowden would not have to hide in Russia because of the morally corrupt Obama Administration. I was in Japan when the First Gulf War took place. The Western Press ridiculed Japan and said that they were willing to send money, but were too arrogant to send their boys. That resonated in Japan and the government wanted to change the Constitution to allow Japanese troops beyond 200 miles from Japanese shores. I had never seen a protest in Japan of any size. The streets were filled with people protesting against any such change. To the Japanese, they did not trust government and feared that if their Constitution was changed, it would lead to a rise in their military that they blamed for creating World War II. The will of the people SHOULD NEVER be assumed to be the will portrayed by government. To put the record straight about mercenaries, the French had their “Foreign Legion” and King George III also used mercenaries for the same reason – they were German. Indeed, ethnic Germans served on both sides of the American Revolution. Many supported monarchy and served as paid allies of Great Britain. Other Germans came to assist the rebelling American patriots. Using mercenaries has been very common and it is a vital role in using troops from foreign lands to suppress domestic citizens when there is war or civil unrest. 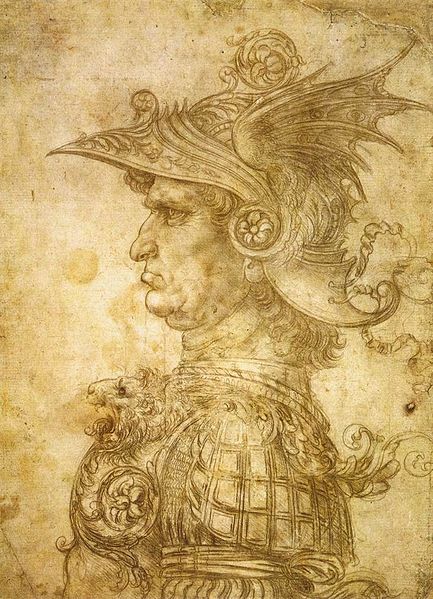 Leonardo da Vinci’s famous 1480 drawing of Profilo di capitano antico, also known as il Condottiero. 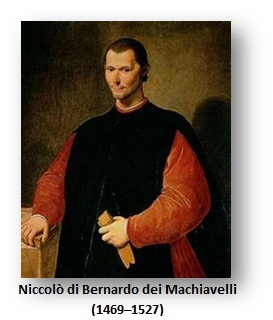 “Condottiero” means “leader of mercenaries” and in Italy during the Late Middle Ages and the Renaissance, the use of mercenaries was the common practice. The use of mercenaries by Ukraine is by no means unusual. It is standard practice in the book of how to rule and suppress your people. The stories are all over the internet that Obama fired many generals who said they were UNWILLING to defend the government against American citizens. So let us make this absolutely clear – the use of Russian mercenaries who have even been torturing protesters in Ukraine, is by no means a reflection upon the Russian people who are separate and distinct just as American citizens were never asked about the NSA spying on the world right down to children or Obama’s firing of generals unwilling to defend the “government” against the American people. Government is always like a parasite living off of the productive capacity of the people regardless of what form you call the government. 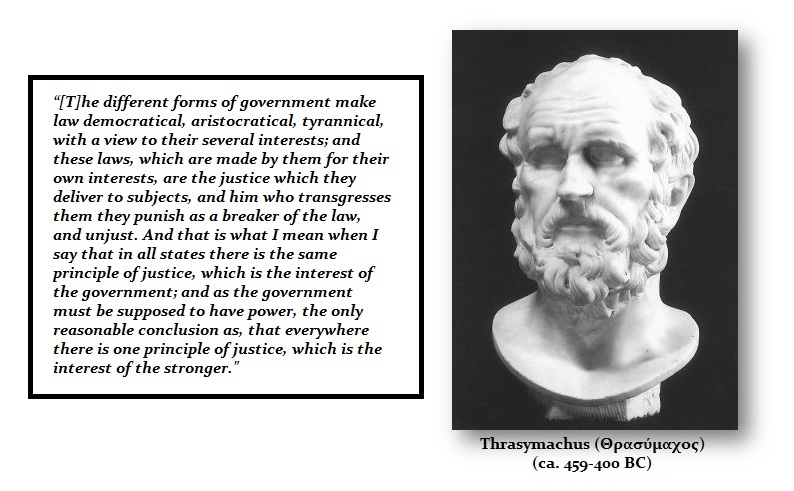 Thrasymachus’ argument against Socrates was superb and Socrates was wrong since Socrates assumed that in a Democracy the people would always seek justice. He discovered that the form of Government was totally irrelevant. The only government structure that seemed to have worked for a few hundred years was where the head of state held that position for just one year and never again. In that manner, he would never enact something he himself would not wish to live under. Once you have CAREER politicians, regardless of the form of government, they enact laws that relieve them of the very same responsibilities they impose upon the people. 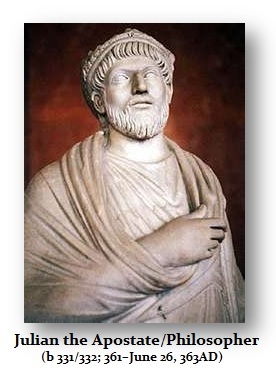 The only Emperor/head of state who held that the laws must apply to him as well, was assassinated – Julian II (361-364AD) . He was also disregarded because of prejudice since he was a Pagan in the House of Constantine. For this reason, he wore a beard when beards were regarded as pagans and was given the title of the Apostate, when he was one of the greatest Philosophers. Nevertheless, Julian had good reason to turn his back against Christianity. Upon Constantine’s death, he watched “Christians” murder all potential heirs to the throne from a former wife of Constantine, including his father. It became known as the Midnight Massacre that forever shaped his life. He was saved only because he was not sleeping there that night. Julian saw that professing to be a Christian did not make someone any different when it came to power. Indeed, we see Presidents go to church every Sunday and scheme to invade other nations simultaneously.